Born Harry Christopher Carabina, he grew up at 1909 LaSalle St. in St. Louis and attended Dewey School and Webster Groves High School. He played on two local semi-pro baseball teams before starting his radio career. After announcing both Cardinals and Browns away games in 1945, the effusive Caray, renowned for yelling “Holy Cow” after big plays, broadcast for the Cardinals from 1947 to 1969. One of baseball’s best-loved announcers, Caray then called Oakland A’s and Chicago White Sox games before capping his career with the Chicago Cubs. 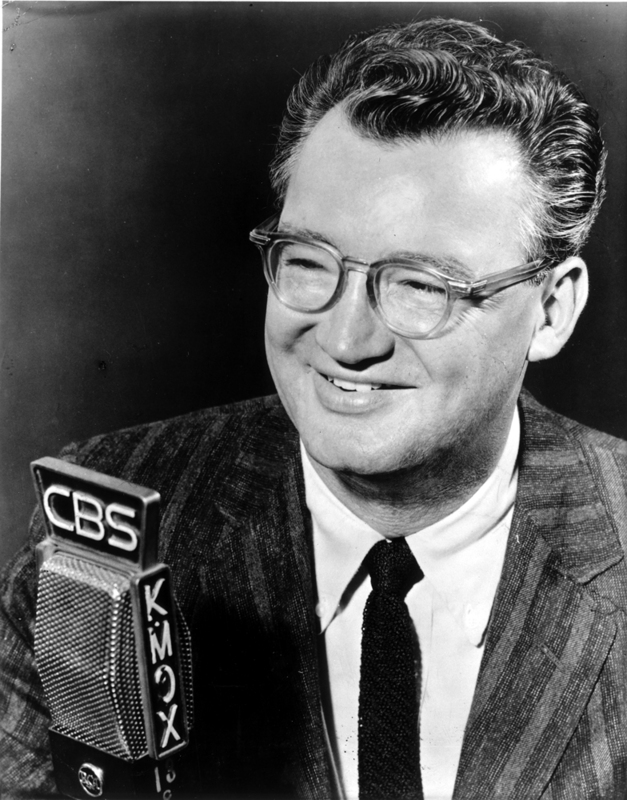 In 1989 Harry Caray was inducted into the broadcasters’ wing of the Baseball Hall of Fame.